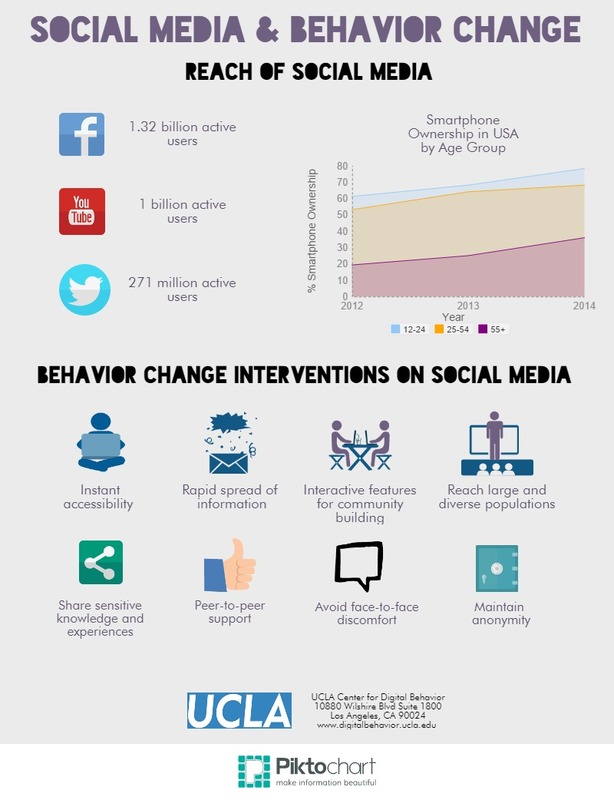 We design and evaluate methods and technologies for delivering peer-based behavior change interventions on social media platforms. Thus far we have conducted interventions to increase HIV testing, HIV medication adherence, and to reduce misuse and abuse of prescription opioids among chronic pain patients. We are now interested in scaling our methods to address a wider range of health behavior change concerns, including but not limited to mental health (e.g. substance abuse, depression, PTSD), sexual and reproductive health (e.g. other STIs and unwanted pregnancy), and diet and fitness (e.g. obesity, diabetes, cardiovascular disease). We also plan to test whether this approach for behavior change can be applied to corporate settings (e.g. increasing managerial decision-making, creating organic customer communities, building leadership skills, and changing consumer attitudes and behavior). We are involved in decisions and recommendations regarding the effectiveness, ethics, and best practices for using digital and mobile technologies in behavior change research and interventions. To date, we have issued recommendations for using mobile technologies and social media technologies to conduct health and medical research and to reduce the impact of inaccurate online health information. We believe that it is important to work with community organizations and clinics to improve community health. Much of our work incorporates the help of local community partners and organizations for participant recruitment, ensuring cultural appropriateness, facility use, and other support.